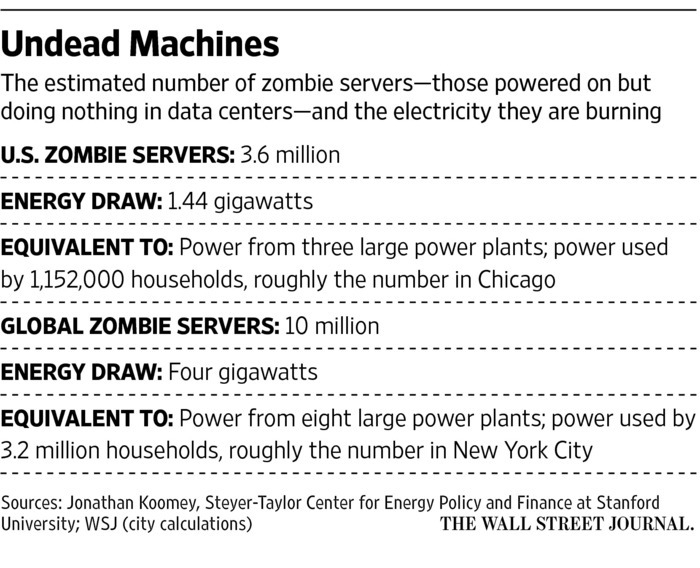 There are zombies lurking in data centers around the world. They’re servers—millions of them, by one estimate—sucking up lots of power while doing nothing. It is a lurking environmental problem that doesn’t get much discussion outside of the close-knit community of data-center operators and server-room geeks. Mr. Nally once audited a data center that had more than 1,000 servers that were powered on but not identifiable on the network. They hadn’t even been configured with domain-name-system software—the Internet’s equivalent of a telephone number. “They would have never been found by any other methodology other than walking around with a clipboard,” Mr. Nally says. In the U.S., the data centers that host everything from Facebook posts and Google queries to bank-account details and corporate spreadsheets burn a lot of energy. 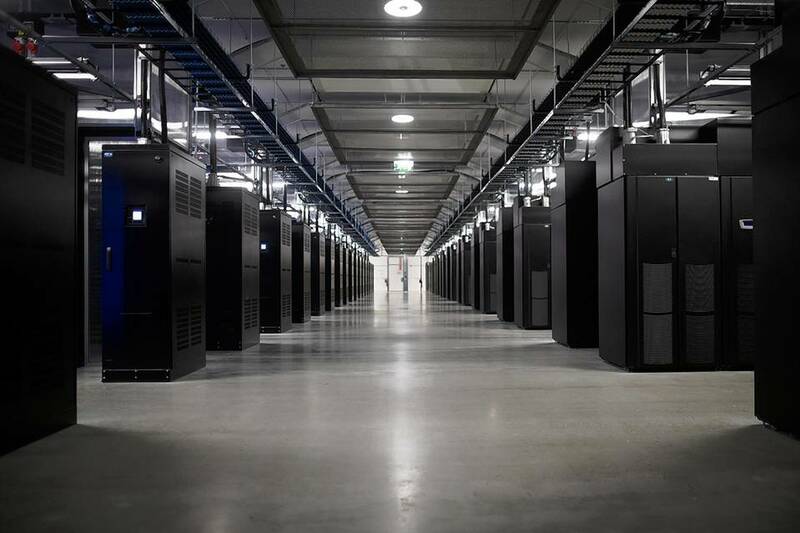 In fact, Google and Facebook care more about energy costs in their data centers than pretty much any other cost, because energy costs are the one thing the companies can reduce through design ingenuity. That is why these companies design their own data centers for maximum efficiency and then build them in states such as North Carolina or Oregon, near low-cost power supplies. In 2010, the latest year for which there are estimates, data centers burned about 2% of all electricity used in the U.S. Lately, the data-center industry has been getting a clearer picture of how widespread the zombie-server problem is. Earlier this year, Jonathan Koomey, a research fellow at Stanford University, looked at 4,000 servers used by clients of a data-center-efficiency company called TSO Logic Inc. He found that 30% of them hadn’t been used over the previous six months. By Mr. Koomey’s calculation, there are more than 3.6 million comatose servers in the U.S. Keeping them powered up requires the services of an estimated 1.44 gigawatts of generating capacity—equivalent to three big power plants. This entry was posted in Data Center DCIM Datacenter Datacenters Datacentre and tagged data center, data center operations, Datacenter, datacenters, jonathan koomey, servers, zombie. Bookmark the permalink.